We call them our “East West” center at 4330 East West Hwy and our “BCC” center at 4401 East West Hwy. We recommend that you visit both centers. Our talented staff members include directors, teachers and teacher’s assistants as well as Music, Creative Dance, and Language teachers. 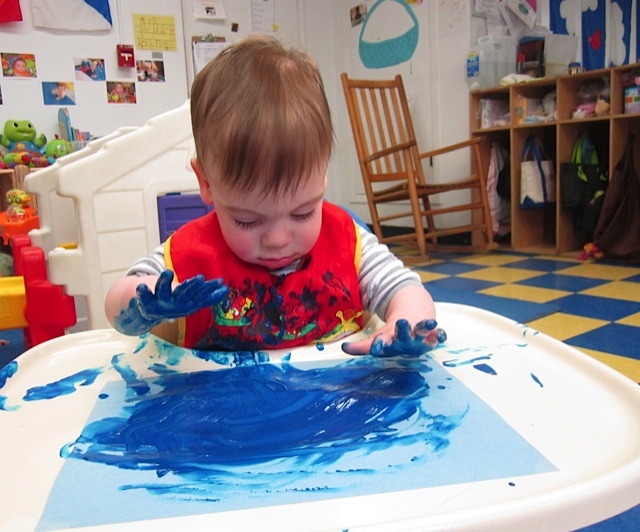 Both centers have playgrounds that are equipped with developmental and age appropriate equipment. Our East West center is located across the street from BCC High School on East West Hwy on the ground floor of The Bethesda Towers (4330 East West Hwy). It is licensed for 118 children including 4 infant classrooms, 4 Toddler classrooms, 2 Twos classrooms, and 2 Preschools. Our BCC Center is located next to BCC High School at 4401 East West Hwy. It is licensed for 103 children including 3 Infant classrooms, 3 Toddler classrooms, 2 Twos Rooms, and 2 Preschools.